An image of the symbol is given. However, if y is the smallest such element larger than x (we say that y "covers" x), it's common to place a dot inside of the sideways V such as in . Is there a code for such a symbol? I tried drawing this in Detexify, but I had no luck. If there is not any, why don't you define one? 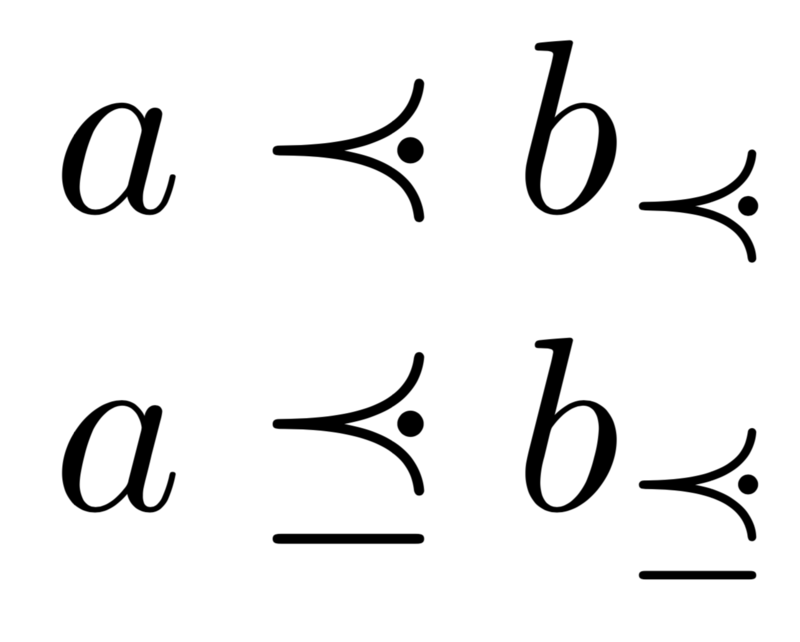 The height of the centered dot is good for making up the symbol with \prec; we can use this fact for computing the amount of raising needed for \preceq. Depending on your preferences, you can change the amount of backspacing (now 5mu). is there a “size-independent” method for overlaying two symbols to form a composite?